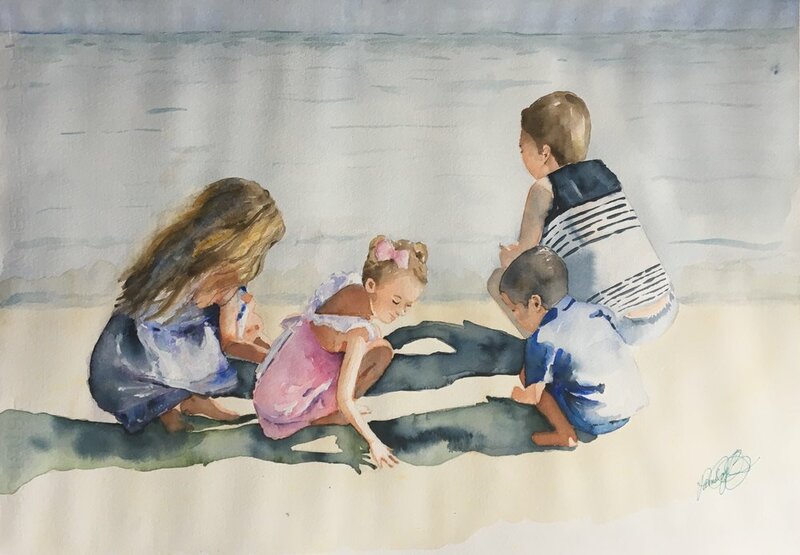 When I look at the painting of my children playing in the sand and water, it brings me back to my childhood at the ocean. It is peaceful and beautiful and the dearest thing I own. 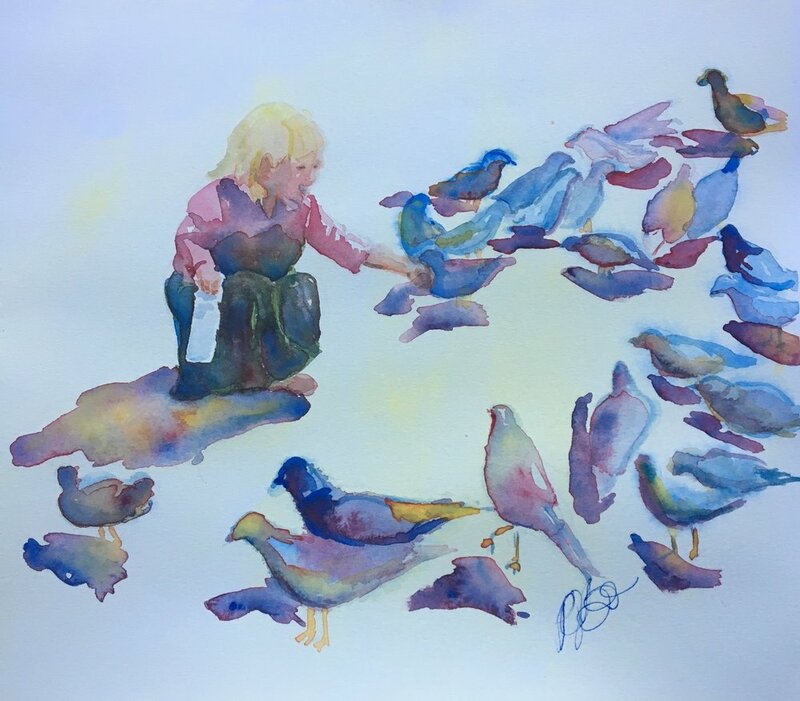 I love looking at each one of my children and seeing their personalities displayed in the beautiful art piece that Pam created. I notice that she was able to capture my oldest son’s wise and kind demeanor as he’s looking over the water. 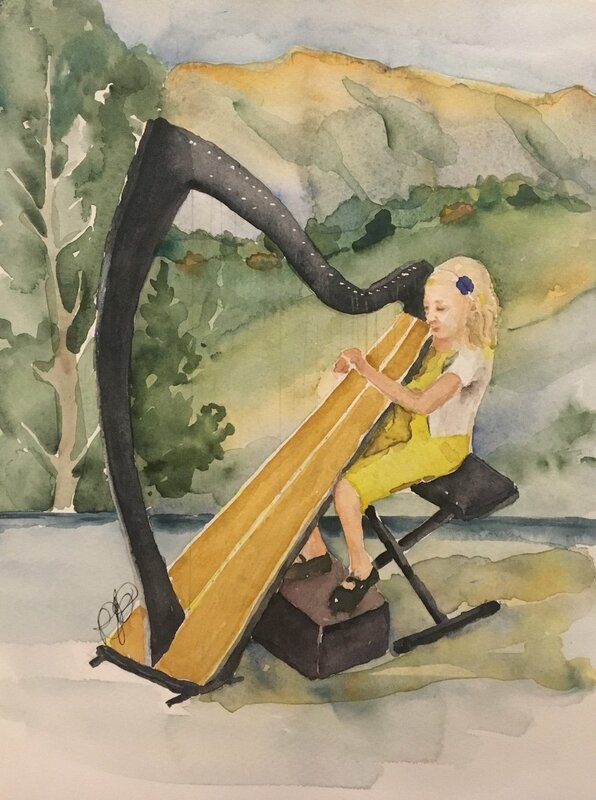 The way she painted my daughter’s long brown, sun-kissed, golden hair the way it always flows. Pam was able to pick up on how dainty and delicate my youngest daughter is and how she loved to run her hands through the sand. It reminds me of when I was little and makes my heart hurt with love for her. But, the last thing she noticed that most would never begin to comprehend is the way my Asian adopted son, who is four years old squatted on the sand differently than the others. His feet are flat and it’s natural for his body to go as low as possible and be completely stable on his heels instead of his toes like my other children. 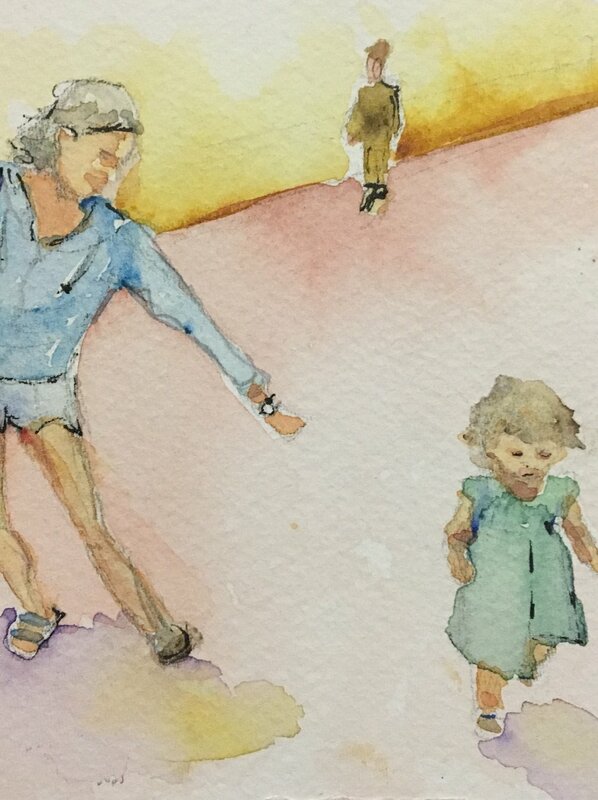 No one but his mother could really know the difference but she did and she painted it in watercolor perfectly. 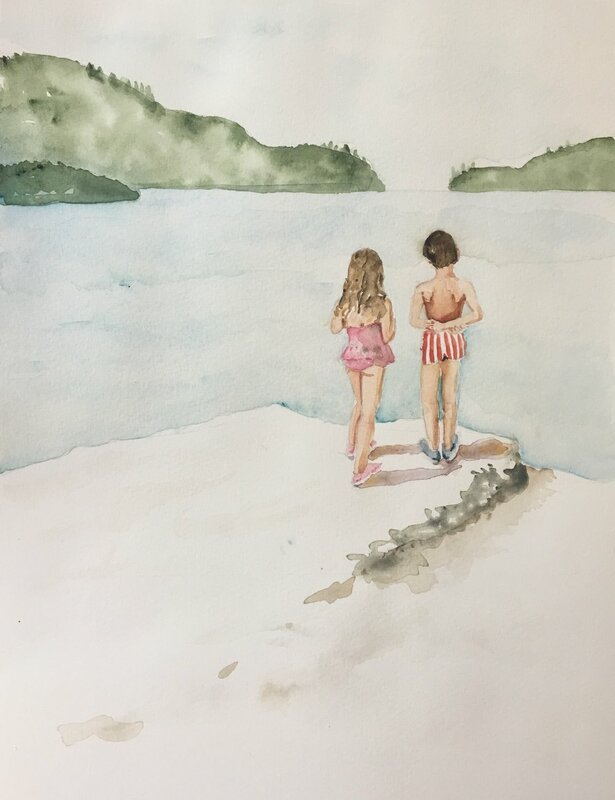 This piece is not our last, we will continue to build our collection throughout the years and I’m looking forward to seeing each painting that she creates and how she captures my children as they grow older. 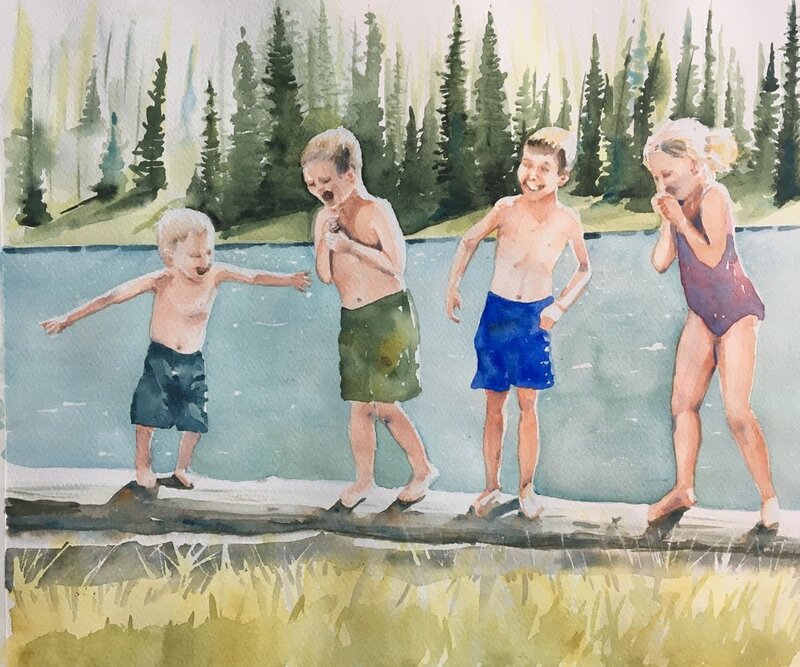 This is not just a normal printed picture, it’s not a normal painting that I could buy online, it’s so much more meaningful because I get to see my beautiful children’s personalities through my favorite type of art — watercolor. 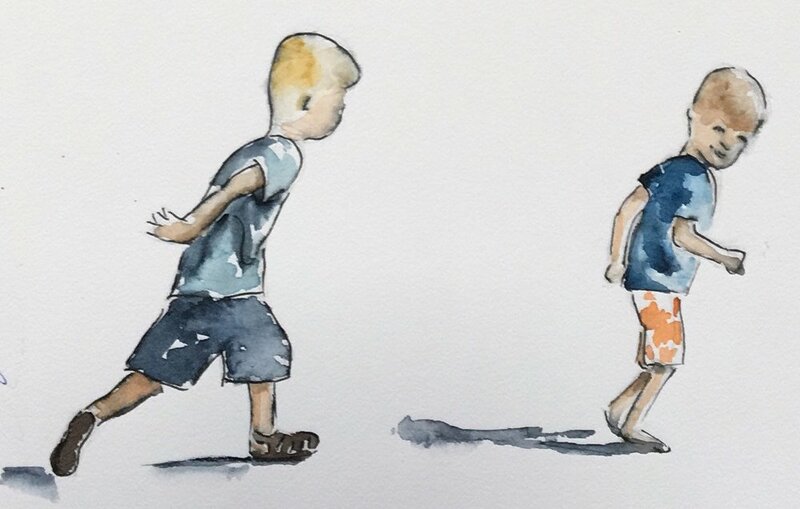 Commission Pam to create a piece for you.